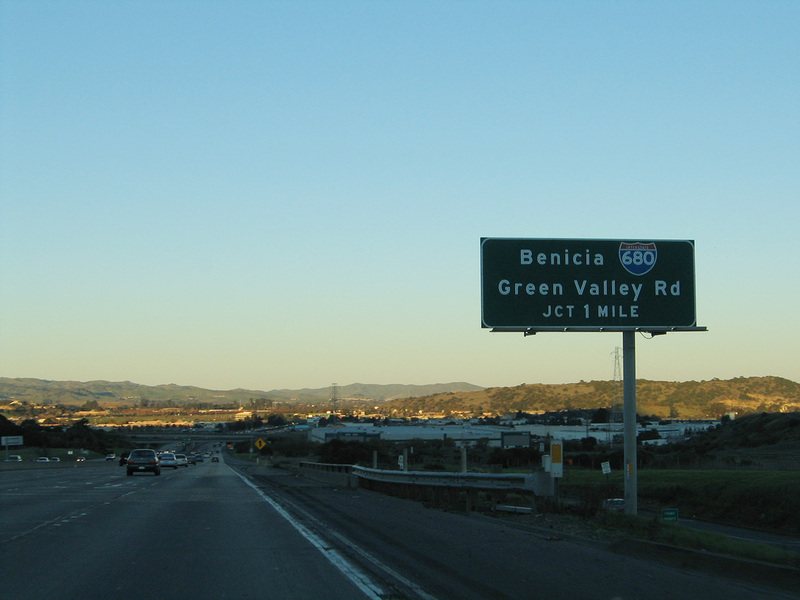 One of the busiest freeways in the East Bay, Interstate 680 connects the communities of Benicia, Concord, Walnut Creek, Danville, Sunol and San Jose. 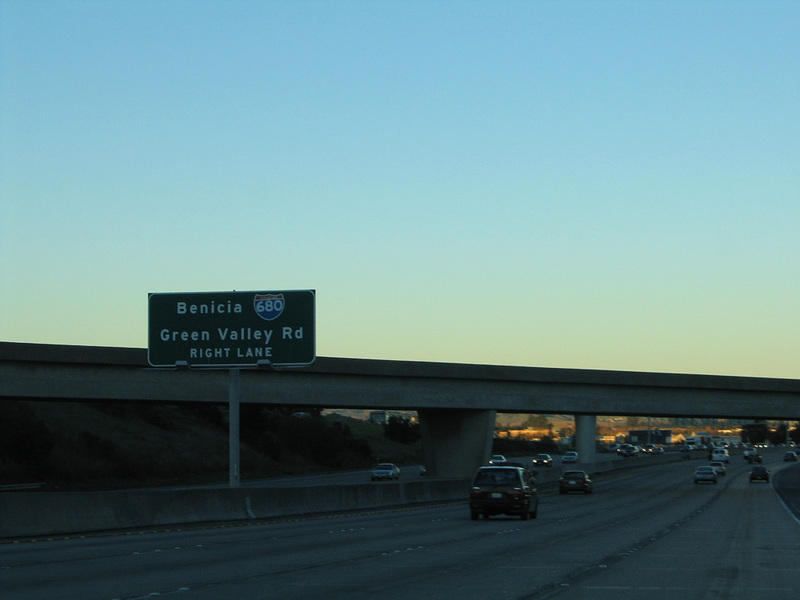 The section between Interstate 580 and the Benicia Bridge underwent extensive reconstruction through the late 1990s, resulting in an eight to ten-lane freeway with carpool lanes. 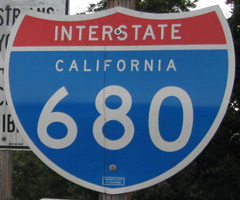 Additionally Interstate 680 through the Sunol Grade was improved in 2001-2003. 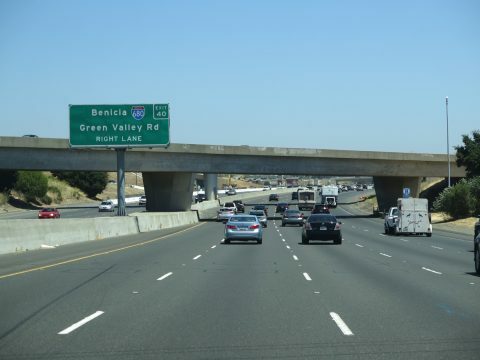 As part of the eight lane expansion, two bridges that were constructed in part for the planned interchange with SR 238 (Hayward Bypass/Mission Freeway) were removed. 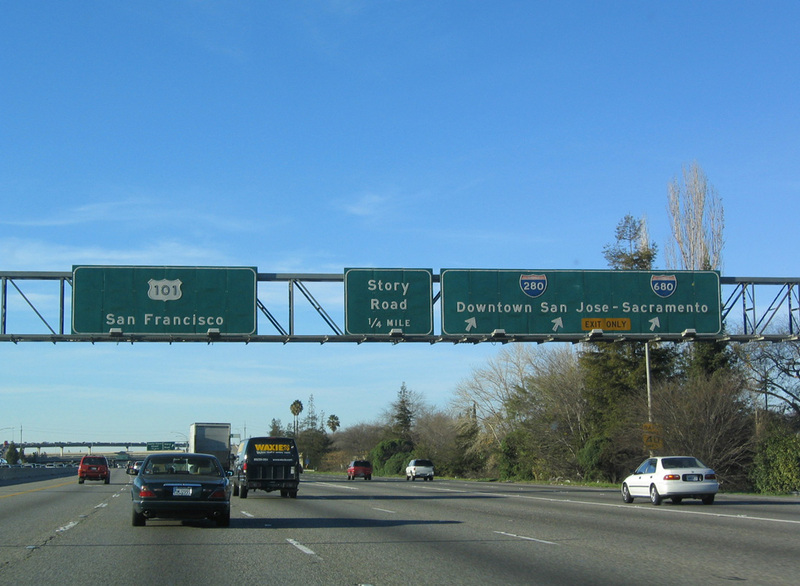 The Interstate 680 corridor was previously part of California 21. 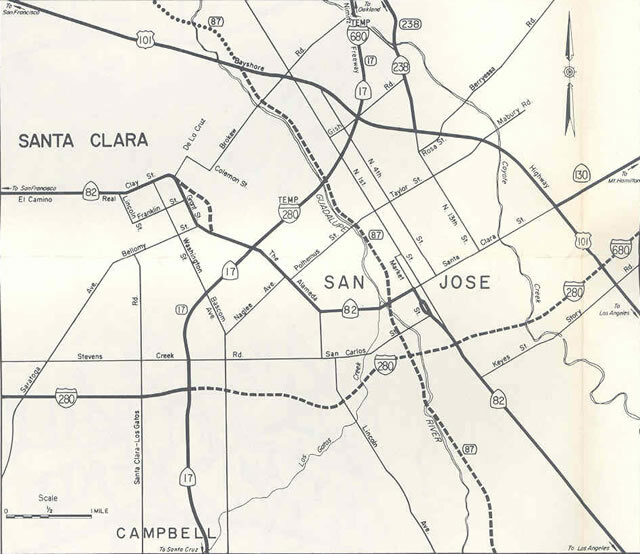 Construction of the freeway gradually overtook the state route between San Jose and Fairfield in the 1960s and 1970s. 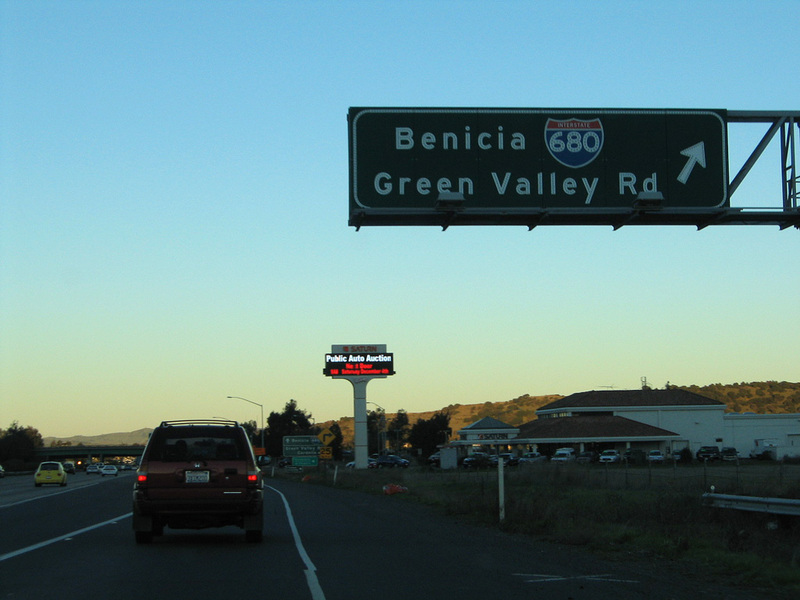 Prior to 1976, the northern most extent of Interstate 680 turned west from Benicia to I-80 at Vallejo. 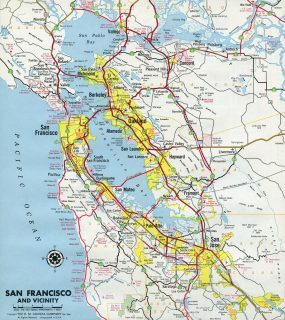 This changed with both the establishment of Interstate 780 along the former east-west leg to Vallejo and the extension of I-680 north over what was the remaining section of California 21 between Benicia and I-80 at Coredlia. 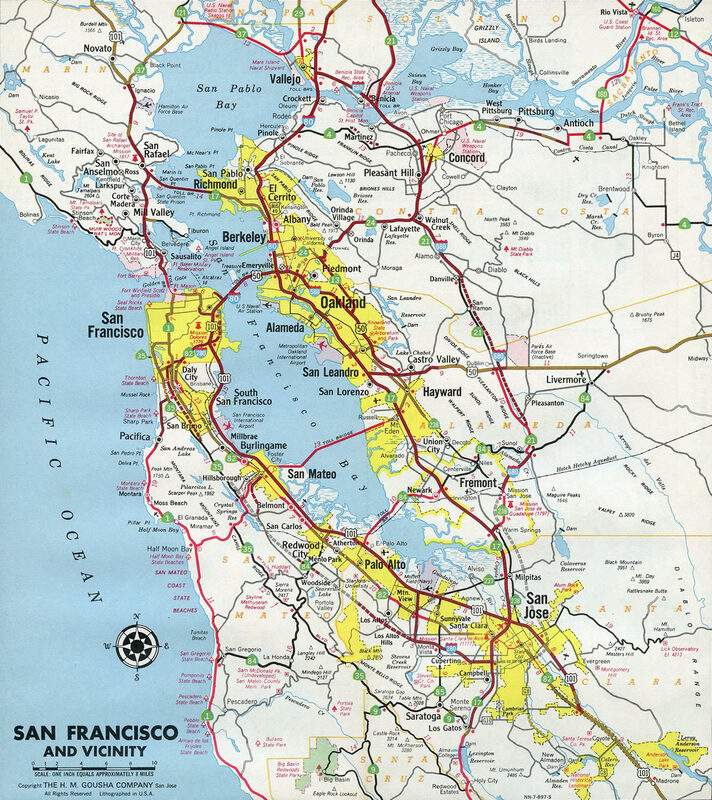 Interstate 680 between San Jose and Vallejo – 1966 California Official Highway Map. 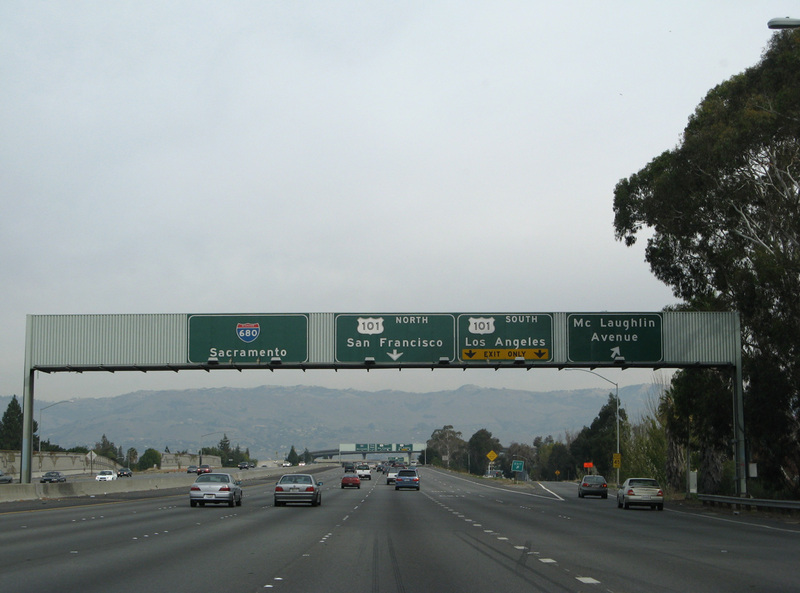 California 21 was replaced by California 17 and Interstate 680 between San Jose and Cordelia. The last segment was transferred to I-680 in 1976. 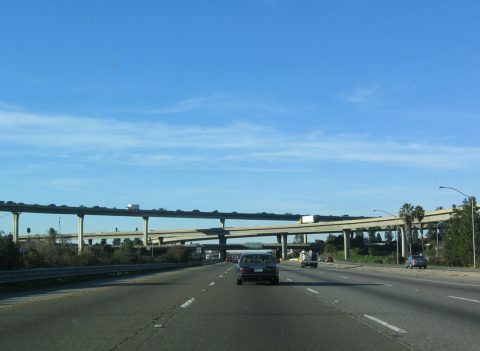 The southernmost stretch of Interstate 680 under construction in 1973. 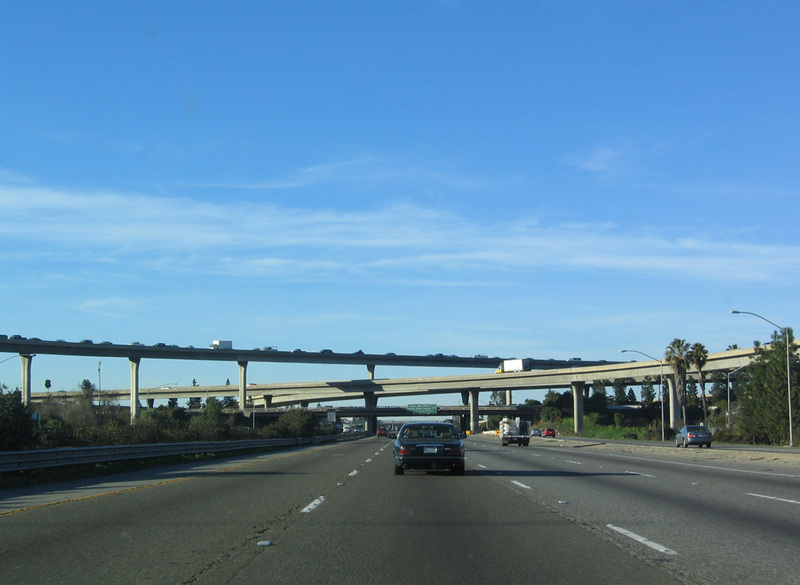 Interstate 680 in San Jose was completed in 1974, two years after the opening of Interstate 280. 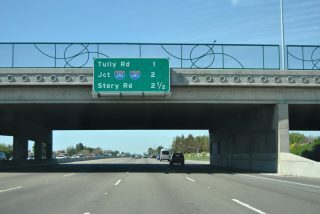 Note that I-680 was temporarily signed along California 17 to make the connection between San Jose and Fremont. Interstate 680 enters the trumpet interchange with I-80 & SR 12 just north of the Cordelia Road underpass at Cordelia. 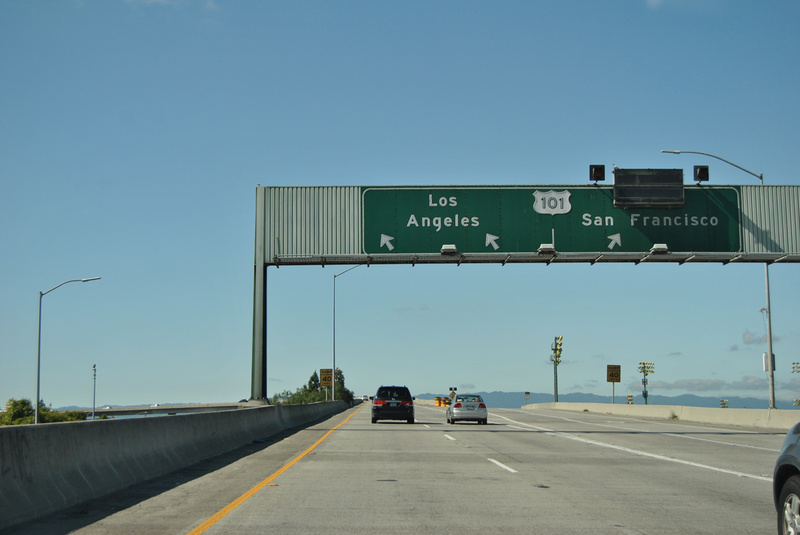 Photo taken 06/21/15. 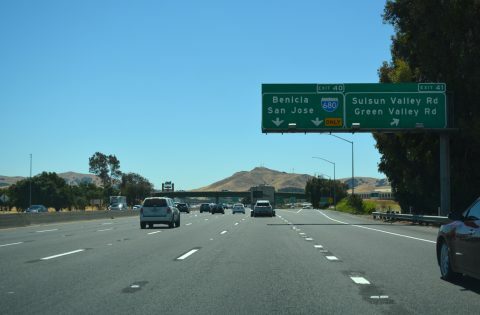 Exits 71A-B separate from I-680 north for I-80 & SR 12. Interstate 80 & SR 12 east divide at Fairfield with SR 12 continuing to Lodi and I-80 angling northeast to Sacramento. 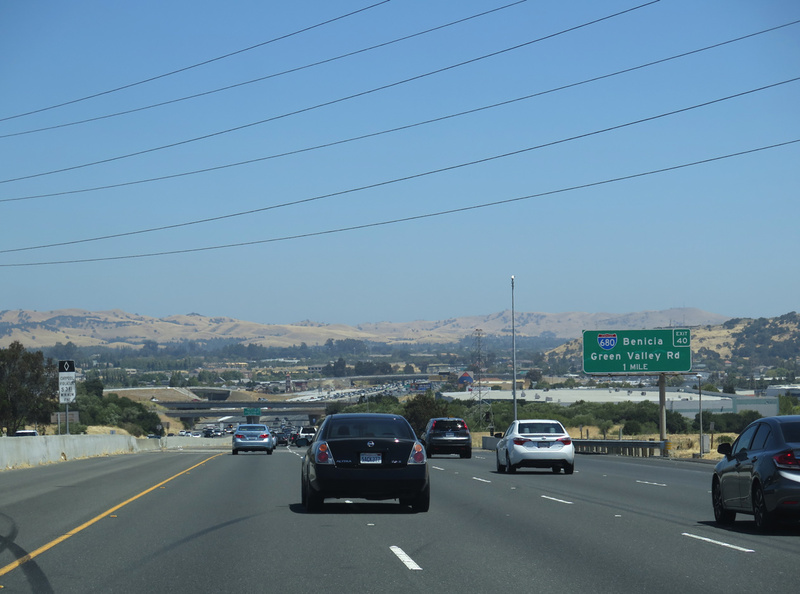 Interstate 80 and SR 12 partition just west of I-680. 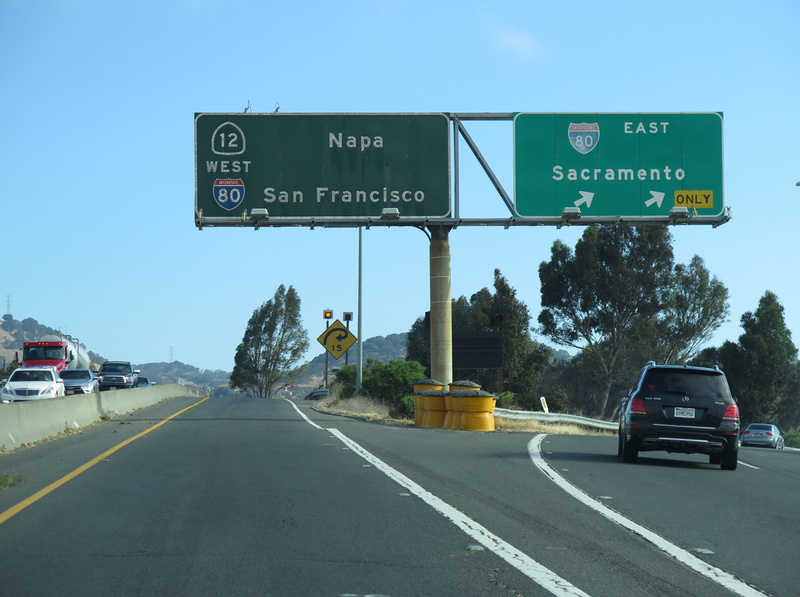 The state route navigates through Jameson Canyon toward Napa, Sonoma, and Santa Rosa. Interstate 80 turns southwest through American Canyon toward Vallejo. 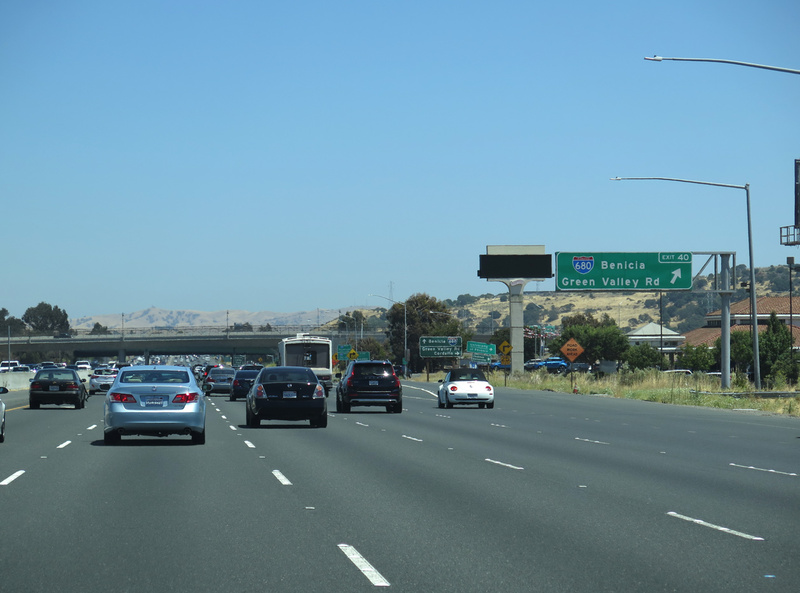 Photo taken 06/21/15. 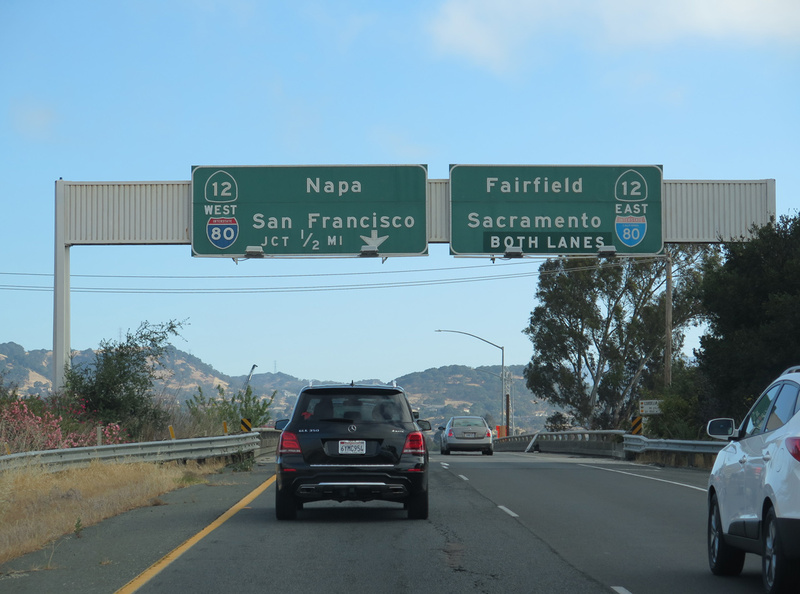 Exit 41 departs I-80 & SR 12 west for areas of southwest Fairfield at Green Valley a half mile ahead of Interstate 680. Photos taken 07/11/18. Interstate 680 traverses the lowlands of the California Delta before meeting Interstate 780 in Benicia and entering congested Contra Costa County, home of cities such as Martinez, Concord, Pleasant Hill, Walnut Creek and Danville. Photo taken 07/11/18. 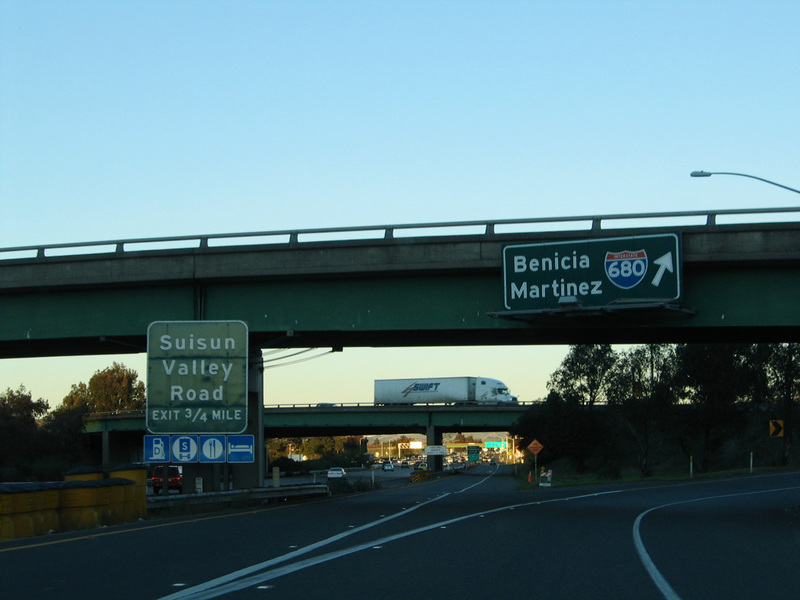 Two lanes follow for Interstate 680 south to the Benicia-Martinez Bridge and San Jose from I-80 & SR 12 west at Exit 40. Photo taken 07/11/18. 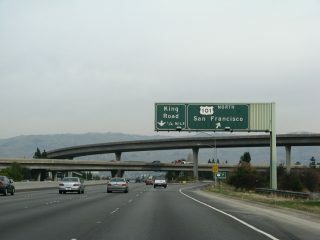 California 12 combines with Interstate 80 eastbound at a wye interchange preceding the north end of I-680 at Green Valley in Fairfield. Photo taken 07/24/16. A collector distributor roadway (Exit 40) separates from I-80 east beyond the merge with California 12 to both Green Valley Road and Interstate 680 south. Photo taken 07/24/16. A single lane ramp leaves I-80/SR 12 east for Green Valley Road to Cordelia and Interstate 680 south. 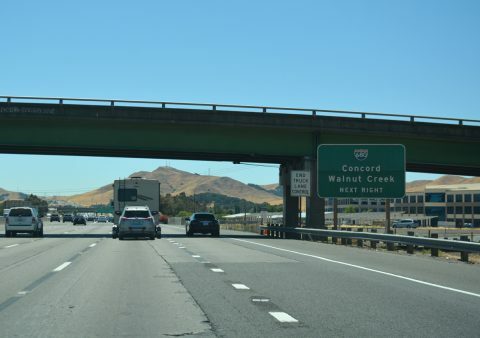 I-680 straddles the eastern foothills of Sulpur Springs Mountain above wetland areas spreading west from Grizzly Bay. Photo taken 07/24/16. 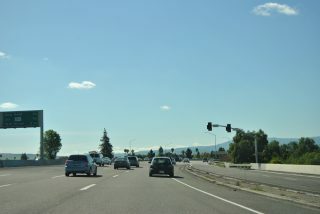 Right in right out (RIRO) ramps link the c/d roadway at Exit 40 with Green Valley Road. The ramp for Interstate 680 south to Concord, Walnut Creek and San Jose follows. 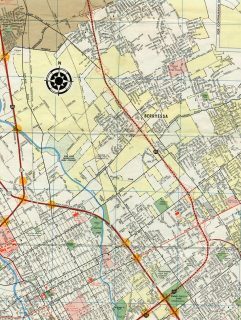 Photos taken 11/28/04. 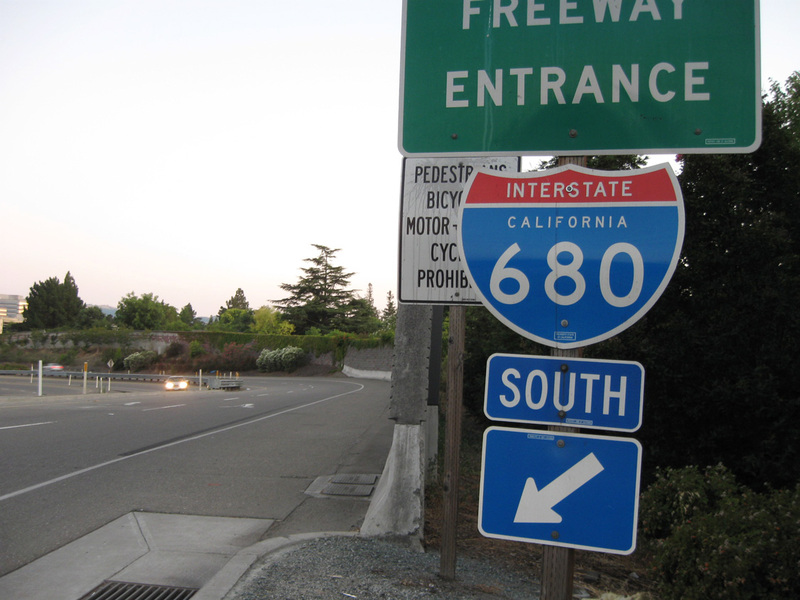 Replaced button copy signs for Interstate 680 south on I-80 & California 12 eastbound. Photos taken 11/28/04. 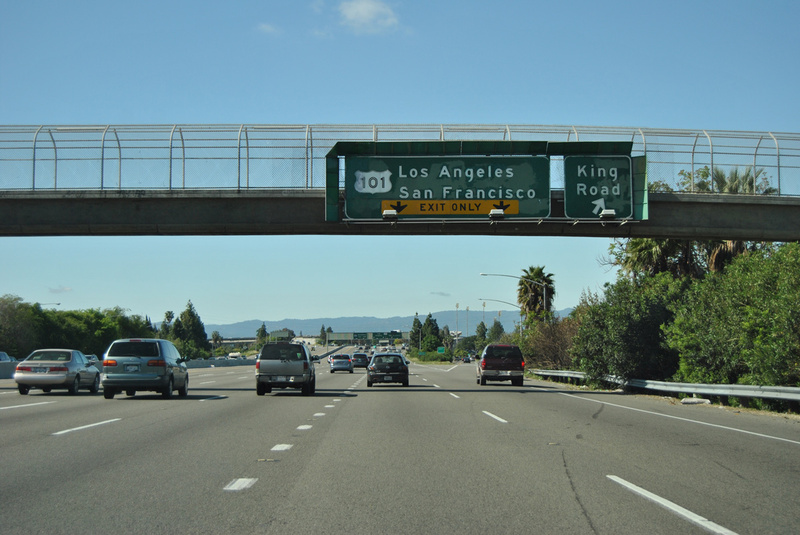 Exit 1C departs for King Road and the Mayfair and the Gateway East neighborhoods just ahead of the four-level interchange (Exit 1B) with U.S. 101 (Bayshore Freeway). 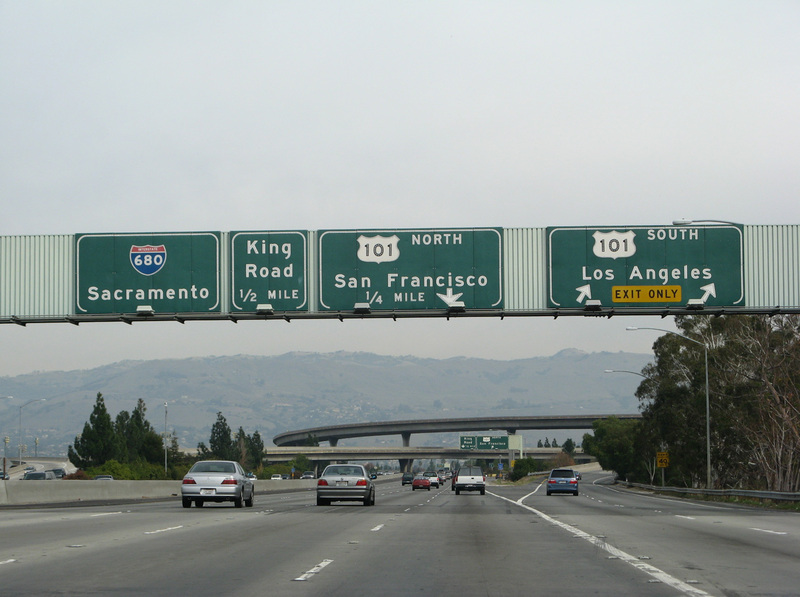 U.S. 101 links San Jose with San Francisco to the north and Salinas to the south. Photo taken 03/27/16. U.S. 101 leads west from I-280 / 680 to Santa Clara and Sunnyvale and southeast to Edenvale and Santa Teresa in south San Jose. Photo taken 03/27/16. 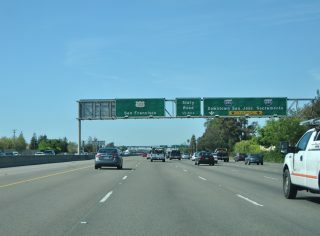 Southbound Interstate 280 at the systems interchange with U.S. 101 and transition to I-680 north. 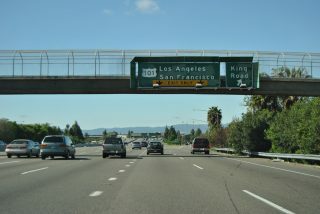 Photos taken 11/25/07. Two miles southeast of I-280/I-680 on U.S. 101 northbound at the six-ramp parclo interchange with Capitol Expressway. Photo taken 03/25/16. Exit 383 departs from U.S. 101 north to Tully Road. Four lanes continue north one mile to I-280 north to San Francisco and I-680 north to Walnut Creek. This set of button copy signs was replaced by 2013 to incorporate exit numbers. 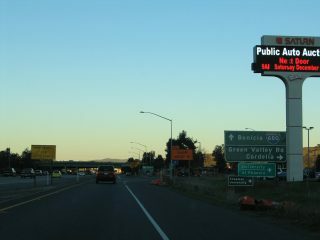 Photo taken 12/23/04. 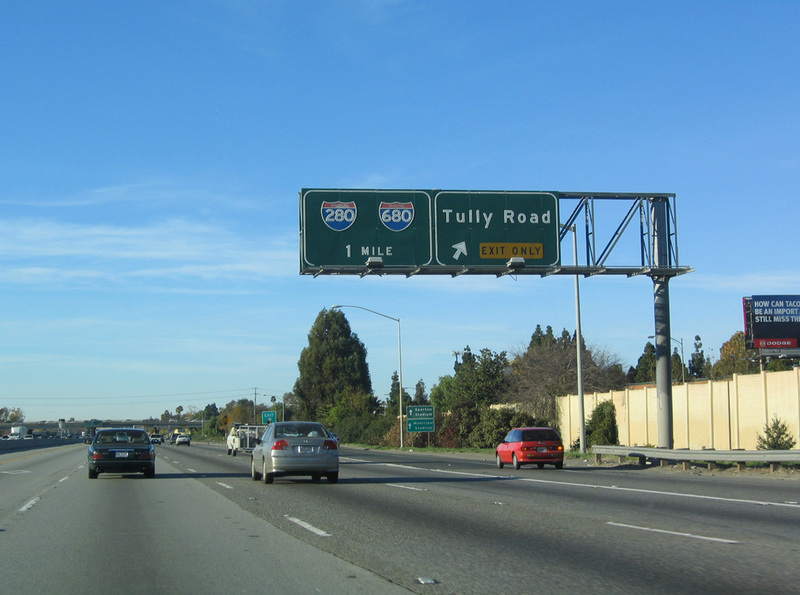 North of Tully Road, U.S. 101 expands to six lanes leading into the cloverstack interchange (Exit 384) with I-280 west to Sunnyvale and I-680 north to Milpitas and Fremont. Photo taken 03/25/16. 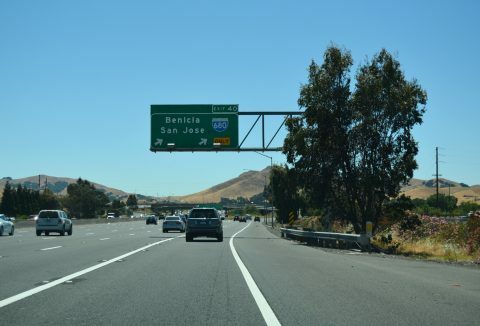 Exit 384 departs U.S. 101 northbound, taking motorists onto Interstate 680 north to Milpitas and Fremont and I-280 west to Sunnyvale and north to Daly City. 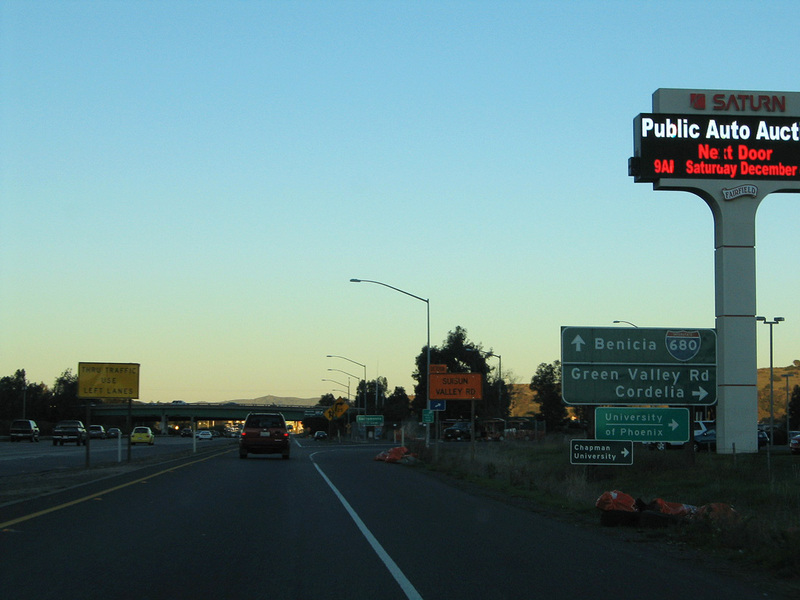 Photo taken 12/23/04. 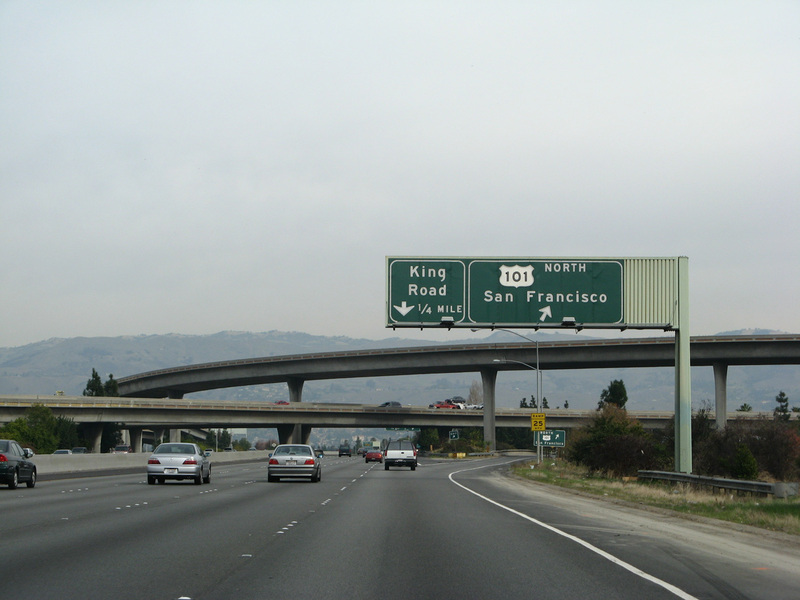 Story Road and high speed flyovers linking with I-280 and I-680 with U.S. 101 pass overhead 0.75 miles beyond the gore point for Exit 384. 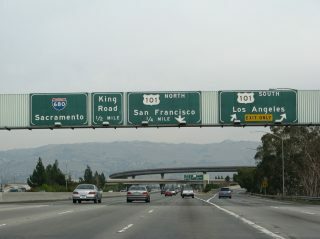 Photo taken 12/23/04. Southbound U.S. 101 reaches Exit 385B for I-280 and I-680 north. 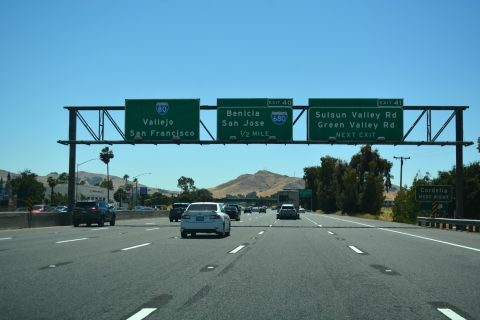 Interstate 280 initially travels west through Silicon Valley before it turns north toward San Francisco. 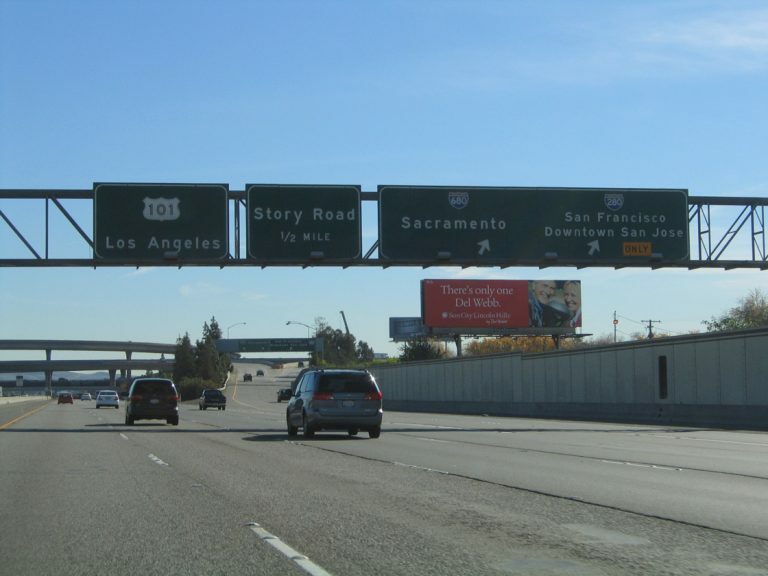 Photo taken 11/29/04. 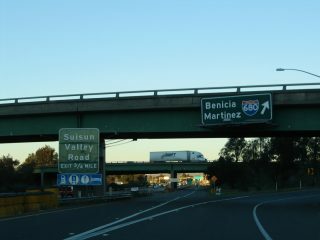 Benicia-Martinez Bridge. 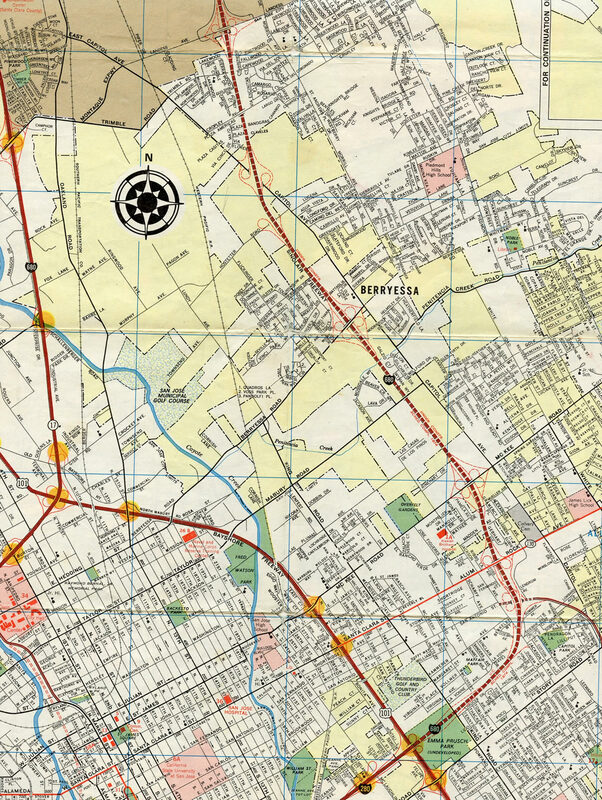 Metropolitan Transportation Commission web page.